If you are celebrating New Year's Eve at home with the kids this year, you will want to check out Megan's fun family activity to countdown to midnight. Each of these cute countdown bags contains a little surprise to help make the wait for midnight fun for the entire family. A favorite snack, and activity, or even just a movie to watch can easily be tucked inside these decorated bags. 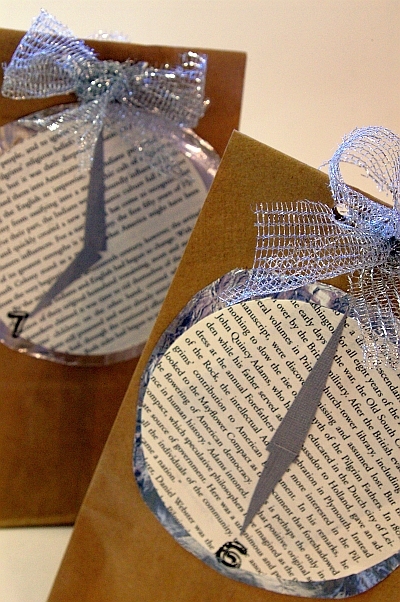 They make a great centerpiece and your kids will love the anticipation of opening a surprise each hour. You can check out all of the details of her New Years Eve Countdown Surprise Bags over at Brassy Apple.